"A democracy is nothing more than mob rule, where fifty-one percent of the people may take away the rights of the other forty-nine. " Life is a lot like poker. Many of the things we do in life can be likened to that of poker. Risk taking, bluffing, betting, these are all very important life lessons. Many of the best poker players talk about how poker is like having a conversation. Poker is a game of information. 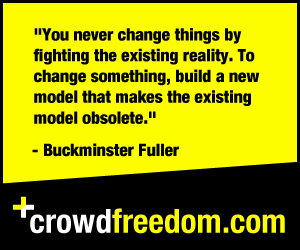 Poker is a game of change. Every time you check, call or raise in poker you are giving away information. Each time you do something you are putting something out there for the other people at the table to react to. Poker is the ultimate game when it comes to weighing shades of grey. Nothing is black and white in poker, just like in real life. When somebody bets in poker we are faced with some important decisions. How much did they bet? Why did they bet that? What led up to this bet? Do they always bet like this? Will they bet like this in the future? Do you have the right odds to continue on with this hand? Are they bluffing? These are all things that cross your mind when somebody bets in poker. A bet in poker is a statement. When somebody bets they are saying, here is my statement, how are you going to respond? You can respond aggressively, you can respond passively or you can choose not to respond at all. When somebody bets you never really know what it means, but you get a bit of an idea. This is the same in life. If somebody is selling something for $100 you don't fully know if it's a good deal or not. You may research the company and do some research to find out. This is the same way in poker. You need to figure out if the price is over-valued, under-valued or fair. When you raise in poker you are representing power. When you call in poker you are representing less poker than a raise. When you check in poker you are representing no power. Obviously it varies, but this is normally how it works. You can often times throw people off by checking, checking and then raising somebody. They may think you're weak and you may come over the top strong. You may also be weak but raise somebody until they fold. It's all about position and amounts. If you raise a lot of money it is more serious than a little bit of money. If you call a lot of money it is more serious than calling a little bit of money. These same is true in life. If you are passive and just sit back people will view you as weaker. You can use this to your advantage or disadvantage depending on the task at hand. If you're always in the forefront telling others what to do this is seen as stronger. This can be good at times but it can also be bad at times. If you're negotiating with somebody and they raise you on your sales call you can make the stakes all the more intense by raising them back. They can choose to accept your raise, decline it, or come back over the top. It's all just a conversation with different dynamics at play. In poker you need to decide how much risk to take. The greater the risk, the greater the reward. The greater the risk, the greater the chance you have of losing everything. In poker you need to weigh your risk. Every move has the possibility for risk in poker, but some are more risky than others. Real life is the same way. The things with the greatest rewards are usually the most risky. We need to measure and think about just how much risk we should be taking on at any moment. We need to educate ourselves to minimize the risk. The more information we have, the less risky a situation is. In poker you need to know when to walk away. You don't need to buy everything in poker. In poker it is wise to fold when you don't have a fair price and when you are bound to lose. Even if you have committed money into a pot and know that you're beat it's time to walk away. What matters is the current scenario in poker and the odds at hand. It doesn't matter if you've put 9/10 of your money into the pot. Putting the other 1/10 when you know you're set to lose is a mistake. The same can be said in life. When you know you're throwing money away in life, stop. When you know that something isn't going to work, stop forcing it. Sometimes we need to just move on and wait for another hand. Sometimes it's best to wait for another more sure shot. 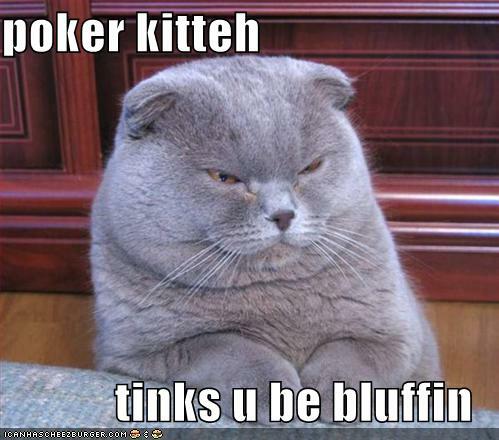 Bluffing is a great element of poker. A bluff is a great way to make the most of a bad hand. A great bluff is carefully timed and executed in poker. 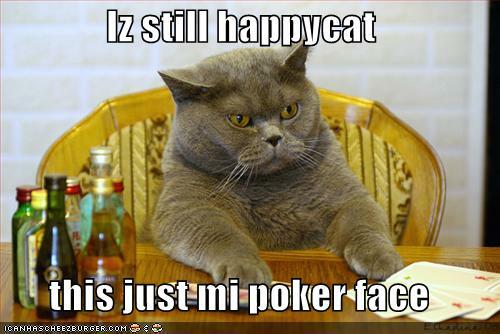 You obviously can't bluff all the time and pull it off in poker. Your bluffs need to look real, they need to be believable. You don't need to have the best hand in poker. You just need to appear to have the best hand. It is amazing the kind of pots you can win simply by executing a well planned bluff in poker. The same can be said in real life. Sometimes a well executed bluff in life can be all that is needed. I'm not saying to trick people or things like this -- I'm just saying that you take a risk. Bluffing is a risk move. Bluffing is a way to make the most out of a bad situation. You may not have prepared for a presentation. Rather than walk away wing it and see what happens. A bluff could be the difference between a deal or no deal. In poker you make money by putting money at risk. When you bet you are putting up money to back your decision. You bet according to what you think will make you the most money on a win and minimize your losses on a loss. 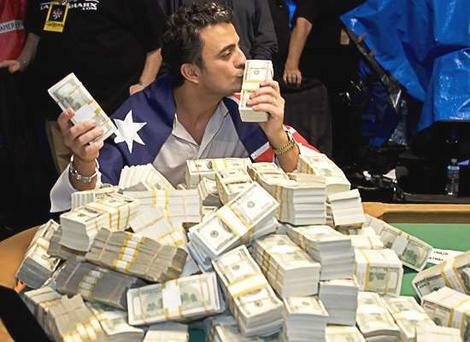 Poker is all about the amount of money you have and how much of it to use in a particular hand. Poker is a lot like investing in real life. You are making your money work for you. The more money you have, the more money you can put to work for yourself. The less money you have, the more careful you need to be. Every time you make an investment it is like playing a hand in poker. You decide how much money to risk. If it's a good investment you put as much money as you can in it. If it's a bad investment you use less money or pull out of the deal altogether. So you see, poker has very many similarities to real life. I really think poker is a great game to learn certain aspects of life. Poker is great for money management, poker is great for negotiation and it is also great for measuring risk. I think if people were to play poker from a philosophical standpoint they would get a lot out of it in real life too. Great article, I agree totally with the fact that poker helps in everyday life, yes its a gambling game but it runs much deeper than that. Money management, reading people and risk management are great attributes to develop.